Titanic is a major theme for Belfast as it prepares for 2012, when the centenary will be observed. Such classes are being taught in many places because interest is so high. It is heartwarming, for instance, to learn that grade school students study Titanic as part of special projects. Sometimes it has real results like trying to get the statue of Jack Phillips restored and put into a place of honor. Disaster tourism. The Guardian believes the cruise tours planned next year to commemorate Titanic’s sinking fall into this category. These tours are following Titanic’s route in 1912 to where it all ended in the mid-Atlantic. It is hard to say what offends the newspaper most, the tours themselves or that people are actually paying big dollars. Considering their criticism is included with other odd and strange tours, I am leaning to the second. Today the cruise business is no longer about transporting passengers as in 1912 but essentially floating hotels taking passengers to interesting, even exotic destinations. I understand why many are upset with such tours. But really is it that different from people who travel to famous battle sites, meet with distinguished lecturers and historians, and then have meals? The only difference I see is that people are aboard a ship where they will likely have Titanic themed events and lectures, movies, meals like those served aboard Titanic, and likely a memorial service for those that perished. Of course being a cruise ship of today it will have the latest safety features, a benefit of the very tragedy they are aboard to commemorate. Belfast is using Titanic 2012 to show the world the city is worth more than battles between Catholics and Protestants. They are busy making things ready for the many tourists coming to see where Titanic was built. For Belfast the Titanic legacy has been mixed. They did not want to talk about it much believing that it tainted them. Much of Titanic was handmade by craftsman who took pride in their work. Its sinking was a terrible blow to all those who had made the dream come true. Yet they ought not to be ashamed. Titanic was a magnificent ship built by workers in Belfast. Its sinking was a terrible catastrophe but ought not to take away the fine work done to build her. Critics see the cruises as bad since they commercialize the catastrophe. Except that this has been going on ever since 1912 from books, to movies, to exhibits, and feature movies. You can split hairs as to what was done for the right and wrong reasons, but lots of people have made money from Titanic. James Cameron made buckets of money for himself and the studio by commercializing the catastrophe (albeit with a fictional story) with his movie. The movie was spectacular and probably the most close in depicting how the ship looked ever done on screen. Of course now there is a television miniseries coming next year. What will the critics say-a cynical cashing in on Titanic or the retelling of a well known story? The memorial cruises are no more and no less that what has gone on before. People are free, unless it has changed, to spend money as they see fit. If they want to take a Titanic Memorial Cruise, get a sense of what it was like in 1912, and get dressed up for it, that is their decision. Many will go to Belfast to connect with Titanic, soak up the sights, and get a taste of Ireland as well. *A hotel that imposes a Day of Silence on its guests. *And the best of all-camping with pigs. Not just staying nearby but actually sleeping with them in the pig houses (fresh straw included) so you really get up close and personal with your future ham, bacon, and sausage while still on the hoof. Of course those who are religiously averse to pigs (or vegans) ought to stay away. The Guelph Mercury reports that those seeking ghosts in Halifax will not be disappointed. A restaurant that once was a mortuary and served some of Titanic’s victims and those of the 1917 Halifax Explosion, is haunted. The restaurant owner claims cutlery has been moved, disembodied voices are heard, and shadowy figures seen. There is even a report that ghosts texted the word death. A ghostly silhouette is sometimes seen at an upper window at St. Paul’s Anglican Church, a brewery is haunted by its old brewmaster, a fiery ghost ship is claimed to have been seen was well. I like a good ghost story but generally find more mundane explanations for hauntings. It has become a business of sorts in many places to offer tours and stay in places where ghosts are supposed to roam. Even the local Titanic exhibit is not immune. There are claims people “sense” Titanic victims when they are visiting the museum. Stories of sightings are sometimes just that, stories written down long ago and then passed down. Suspected cases of poltergeist activity are often solved by hidden cameras that show items being moved by people. So go visit Halifax but not for the ghosts. And have a good time! While sitting on the train the other day, a conductor explained to a confused passenger how the zone upgrade works. Apparently the person had purchased the wrong zones. Fortunately since the train was stopped and waiting for an express to pass, the passenger had time to run out and purchase the correct upgrade. It made me realize how easy to be confused in using the upgrade. The Zone Upgrade is for passengers traveling on a monthly pass, day pass or single ride ticket. It allows you to travel beyond the zone(s) purchased. The cost per zone is $2.00. You cannot purchase a Zone Upgrade with Clipper e-cash. 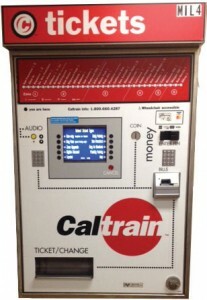 Purchase the upgrade at Caltrain ticket machines. Select Zone Upgrade from the main menu. The extra zone(s) are the ones not covered by your monthly pass,day pass or single ride ticket. For instance, you have a Zone 1 pass for San Francisco-San Bruno and want to go to Redwood City in Zone 2. That is a one Zone Upgrade so the cost is $2.00. A trip to Menlo Park in Zone 3 is a two zone upgrade ($4.00) and a trip to San Jose in Zone 4 is three zones ($6.00). Why bother with a Zone Upgrade? It saves money. Two one way tickets to San Jose and San Francisco costs $17.50 compared to $12.00 using the zone upgrade. Remember it is the zone(s) outside your pass or ticket that count for the upgrade. Show both your upgrade and Clipper card or ticket to the conductor when asked. Zone Upgrades are good for 4 hours in one direction. This allows you to get off along the way and then get back on to continue your trip. Remember to allow enough time to complete the trip. If your ticket expires while aboard the train, you can be cited for fare evasion. 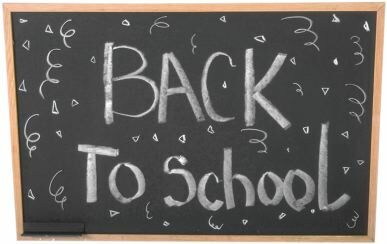 For monthly pass holders, you do not need to purchase zone upgrades on weekends and holidays. One of the perks is that you can travel through all zones on those days using the monthly pass. *Zone upgrades are for traveling beyond the zone(s) on your pass. You can only use them with monthly pass, day pass, or single ride tickets. *Zone upgrades are cheaper than a one way fare and can only be purchased at Caltrain ticket machines. *Zone upgrades are good for four hours in one direction. *Zone upgrade validity period does not supersede the original ticket. Over the years I have heard many different ways Titanic is used. It is overused as a cliché. These days it is hard not to here someone say “like rearranging deck chairs on Titanic.”I never knew that an animal shelter in Sacramento, CA had named its pantry for animals Titanic’s. According to the Sacramento Bee , the city’s Animal Care Services has been providing free animal food to those who cannot afford to buy it. This is to help struggling families so that the do not give their pets up. This year the cupboard is bare due to high demand and low contributions. Donations usually come from people either dropping off animal food or from pet stores. They are asking for help to meet the increased demand. In case your wondering, the pantry is named for their mascot who is described as “gargantuan” and hence the name Titanic. “Caltrain management on Thursday announced it has negotiated a proposed contract with TransitAmerica Services Inc. of St. Joseph, Mo., to operate the San Francisco-San Jose Peninsula commuter rail system and that it will recommend the contract for approval to the Peninsula Corridor Joint Powers Board at its Sept. 1 meeting. If this is approved, it ends a 20 year contract with Amtrak. It means a new management team will take over all the functions that Amtrak used to do. Those include daily staffing and operation of trains, inspection and maintenance of tracks, signaling and communications, station operation and everything else. 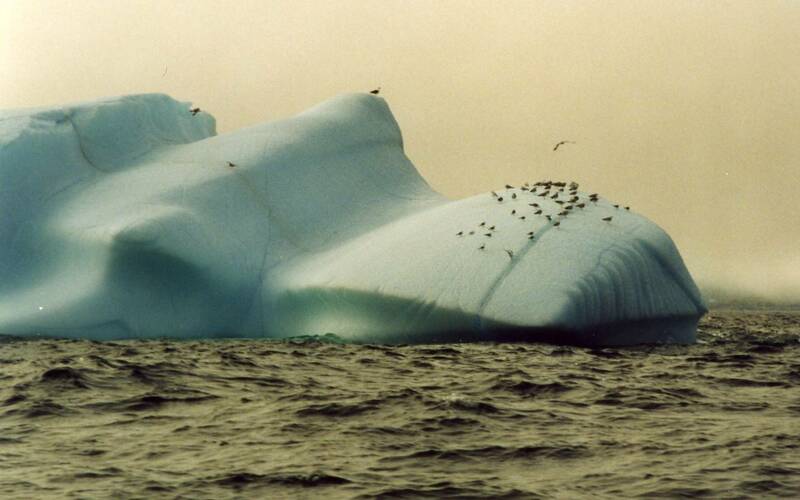 Using icebergs to bring fresh water where it is scarce is an old idea. What makes them impractical is the massive engine power needed to tow an iceberg and preventing it from melting while in transport. A recent article at LiveScience.com indicates a solution is possible. It would require a heavy-duty tugboat to drag an iceberg weighing 7 million tons from Greenland to the Canary Islands. The trip would take 140 days. To prevent seawater erosion, a floating textile skirt is being designed by French engineer Georges Mougin. A real world trial may take place in 2012 or 2013. The operation has to take into account a lot of variables like unpredictable weather (common in the North Atlantic) and rough seas. And the possibility of iceberg fracture has to be considered. And just as important is the cost to do this. Will it be worth the money to harvest icebergs and tow them to you for their fresh water? Mougin has to prove it will be cost effective. And that is the problem. Right now the costs would be astronomical for just one iceberg. Caltrain riders are experiencing the blues these days due to problems with Clipper and new draconian ticket citation rules. 8-ride and e-cash ticket riders must tag on before boarding and off after getting off the train. Many forget to do this despite the many reminders from Clipper and Caltrain. If you forget to tag on, the conductor can ask you to get off at the next stop or if you decline be cited for fare evasion. The prize for forgetting to tag off is $12.25, the maximum Caltrain fare between San Francisco and San Jose, deducted from your cash balance. When that balance is below $1.25, your Clipper card will not work. If you forget to tag off and get a citation, the fine is $350 plus costs added on by the court. No excuses will be accepted. Under the new policy reported in SF Weekly Caltrain has decided to treat fare evaders and those who fall victim to problems with Clipper the same. Conductors no longer have the discretion, as they did in the past, about writing a ticket. In short, tell it to the judge is the new policy. For those who have problems with Clipper, save all documentation (emails, letters, and names of those you spoke with etc.) when you go to court. And you can bring witnesses (or sworn affidavits) from those who have direct knowledge of what happened (like the Clipper representative, not your friend who heard you talking on the phone). In short, make Caltrain prove you are the fare evader they claim you to be. If you can show to the judge it was a Clipper issue, the judge can dismiss the charge. Of course you might get lucky. I understand Caltrain conductors do not always show up for the court date and judges can dismiss the charge. One other thing, do not decide to get in the conductors face about citing you. They are just doing their job. If you yell, holler, scream or make any threats at all, the conductor will have the police meet you at the next station and arrest you for assault. You will spend the next several hours being processed, booked, and possibly released until the court date. This policy apparently makes no exception for when the Clipper terminals are down. On SF Muni, if the Clipper system is down on the bus (on must SF Muni buses there are two, one in the front and one near the exit doors) the rule is to allow Clipper holders to board. According to Caltrain, if the Clipper terminals are not working you are supposed to notify the conductor if they are not working. Perhaps on this issue the conductor does have discretion but I bet Caltrain will argue back you ought to purchase a paper ticket (at extra cost to you) if the Clipper system is not working. Hopefully they will clarify this otherwise I can see some judge rolling his eyes wondering why Caltrain is wasting his time citing people for fare evasion with the Clipper system was out of order at the time. Autoload is another feature giving riders the blues as well. Clipper bills this a convenient way to load monthly passes, 8-ride tickets, or even cash to your card. It comes with some major caveats. Since not all Clipper terminals are hardwired to Clipper (like on buses) they only get updated once a day. So if you purchase via autoload, the Internet, or by phone it can take up to 5 days to load. And if there is a problem with the credit card, nothing gets added to your card which is frustrating when you are trying to board the train. Worse the card can be locked up by Clipper because of a credit card or other issues. The best way to avoid these blues is to purchase passes and load money at a vendor like Walgreens, a Clipper service center, or one of those rare Clipper Add Value machines. For reasons no one can understand, those Clipper machines are not at any Caltrain station. You would think that when Caltrain decided to move to Clipper they would have put those machines in at San Francisco and San Jose. It seems only logical but then again, this is the same system that has no real time updating for passengers to know the status of trains. Rumor has it they will eventually arrive but no one can say for sure when that will happen. Caltrain requires all monthly pass holders to tag on/off on the first trip of the month to validate the pass. Except that is not accurate. Monthly passes purchased online, via autoload, or by phone have to be tagged in order to be loaded. However when you purchase in-person at Walgreens, a Clipper customer center, or Clipper add value machine, the pass is loaded and ready to go for the period purchased. Same with cash. If you purchased your monthly pass on the Internet, by autoload, or by phone you must tag on to download the pass and tag off to complete the purchase. You only need to do this the first train ride of the month. If you purchased the pass at a vendor, Clipper customer center, or a Clipper Add Value machine the pass is already loaded for the period purchased and does not need to be tagged. Not that hard really to understand. Typical of bureaucrats who look at passengers as children. Another new policy, not so much a blues thing for passengers but for conductors, is the policy to check tickets at the doors in San Francisco/San Jose for non-commute weekday trains and weekend trains. Conductors did not do this in the past very often (a few did mainly so they did not need to check until Millbrae) but now it is mandatory. Providing of course the conductors have those Clipper card readers (which does not always seem to be the case). Once the train gets rolling, the conductor apologizes in advance but they are required to check and will likely check tickets again on the way to San Jose. It does catch the forgetful Clipper taggers and occasionally a family that needs to buy extra tickets for the kids, but just slows down train loading. Some conductors are getting around it. They simply wait until five minutes before departure to open the doors. It would take too long to check tickets and delays train departure. (1) Never purchase a pass or load cash online, autoload, or by phone. Always use a vendor, Clipper center, or Clipper add value machine. If you must use autoload, get a second Clipper card and load it with cash. That way if the main card is not working (for whatever reason) you can tag the other card. (2) 8-ride ticket holders/e-cash users: Always tag your card before boarding and after you disembark. If you forget to tag off, check your balance at Clipper.com. If your balance is below $1.25, you must add at least that much to make it work. Load the cash in-person right away to avoid problems. (3) Lay the Clipper card on the designated spot for a proper read. No waving the card! If it works right, you get a solid tone and a message displaying what happened (fare paid etc). If you get the reject tone, try it again and read the message displayed. (4) Register your Clipper card at clipper.com. Also keep track of your cash balance or 8-ride ticket use at the site. (5) If you take SF Muni and use e-cash, the transfer is good for 90 minutes. SF Muni though expects you to keep track of the time. And to play it safe, tag again before heading out on the underground light rail platform. Example: You tagged the card at 9:45am taking a number 30 to North Beach. You end up back to the Powell Street Station just before 11am. The card reader accepts the transfer as it is still within the 90 minute limit but is getting close to expiring. You board a light rail to Embarcadero Station but just before you get off tag the card to check if the transfer is valid. If not, a fare is charged and up the escalator you go. Alas there is a short line because fare inspectors are checking cards and transfers. Luckily you tagged your card before getting off the light rail. Otherwise they cite you for fare evasion. Note bene: Akit’s Complaint Department has the most complete information about Clipper use on transit. The Titanic Exhibition, twice held over in Winnipeg, has finally left town. But in a good way! According to Winnipeg Free Press , 87,243 attended the exhibit that ran from 11 Feb until last Sunday. Those are impressive numbers indeed. It will be interesting to see the numbers for the next exhibition, Da Vinci: The Genius, which runs from 19 Aug-23 Oct.